When March begins, the speedwells and dead nettle and bittercress start to bloom in the yard. Then come the first tree flowers --- elm and maple twigs with little blooms you would hardly notice unless you were looking for them. 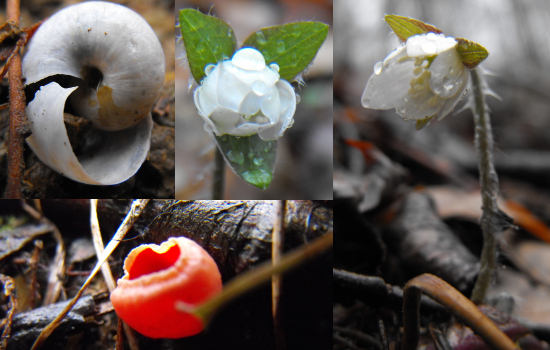 But for me, spring isn't really here until the first early spring ephemerals pop up in the woods. Monday was the day! I found a grand total of two hepaticas, each semi-closed in the rain, but I know that by next week at this time the woods will be brimming with life!